Babbage is delighted to be a supporting partner of the UoC Quake Centre, to assist with the ongoing improvement to community resilience in Christchurch and throughout New Zealand. Following the devastation of the Canterbury Earthquakes Babbage has been active in assisting the public and industry in their earthquake response, providing pro-active, risk focused and economic solutions. Founded here in New Zealand in 1936 as Faram and Babbage, we remain a multi-disciplinary practice offering tailored consultancy services across multi-disciplinary engineering services, including structural, civil, geotechnical, mechanical, hydraulic and environmental engineering. Committed to a relationship based client service, developed over 80 years, delivering innovative solutions which make a difference to the communities we serve, to our clients and to the environment we remain fully New Zealand owned with all principals of the company actively working full-time within the business. Our success has grown from our ability to combine skillsets and ensure our work is practical, sustainable and cost-effective. To this end, Babbage staff are leaders in providing integrated solutions using the latest technologies. 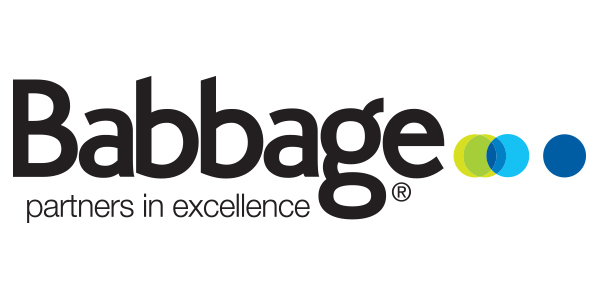 With the aim of delivering great service Babbage combines the delivery of solutions that exceed expectations, with a focus on the principles of sustainability and safety-in-design. We pride ourselves on providing sound technical solutions to complex problems, exploring all the options with our clients and then delivering innovative designs for every specific problem. Our tagline of ‘Partners in Excellence’ underpins our company values of working alongside our clients to produce the most relevant, practical and efficient solutions. Babbage’s South Island Business Manager, Matt Harris says, "Babbage places a high value on client relationships, we work closely with all our clients to understand their needs and in order to deliver the most appropriate solution that best fits their needs”. Babbage serves clients throughout Australasia from offices in Christchurch, Queenstown, Auckland, Hamilton and Melbourne.